Jessica Walker McFarland is Director of Global Partner Marketing at Splunk. In her role, Jess leads global marketing and communications strategy for Splunk's partner ecosystem. Since joining Splunk in 2014, Jess has built Splunk's global partner marketing and communications experience, program and team, including Splunk's partner marketing platform, communications vehicles, partner marketing campaign framework, sponsorship program, and the introduction of the annual Splunk Global Partner Summit event. 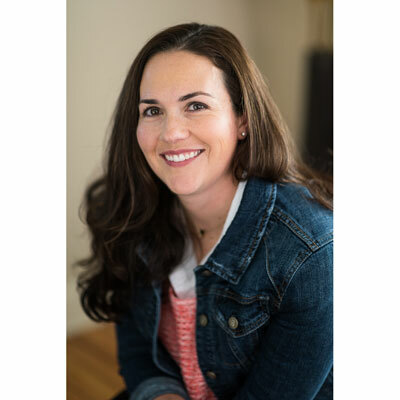 Prior to joining Splunk, Jess worked at BMC Software, serving most recently as the Senior Manager of Worldwide Partner Marketing. Prior to that, Jess held roles in Field Marketing across multiple theatres, as well as in PR and Executive Communications. Her time at BMC included a three-year expat assignment in Sydney, Australia, where she was the Communications lead for Asia Pacific. She loves rose, believes cheese is a food group, and is an OrangeTheory Fitness fanatic. She lives in Denver, Colorado with her husband, Chris. They share a passion for travel, exploring the world one country at a time. Current tally is four continents, 33 countries and 44 states visited and counting! This year Splunk passed the $1B mark and we have no plans of slowing down. I've watched the company and our partners grow since we were a $350M org. We examined characteristics of organizations that experience high growth and the common denominator is the partner ecosystem. Over the past 12 months, my team and I have focused on communicating to all partners, as well as making sure our marketing offerings are not only known, but will help our partners meet or exceed their business goals and maximize their profitability with Splunk. I've been working on redefining how we look at Proof of Performance introducing the concept of "Intelligent Proof of Performance." We're looking outside traditional boundaries of MDF reporting leveraging next gen systems attribution technology to track and share the buyer's journey with partners. Additionally, we partner to invest in the marketing motions with Splunk that are designed to help optimize incentives, launching a demand generation marketplace and fully managed marketing concierge services. We also have a deep relationship with AWS last year my team has worked with the AWS teams to launch Splunk on the AWS Marketplace. My team also just ran our most successful Global Partner Summit to-date. My goal is to build and deliver simple, predictable and profitable marketing programs, offers and services to our global partner ecosystem that help them grow, innovate and make our mutual customers successful. We are rolling out new MDF-funded services with a demand generation marketplace Splunk-enabled and authorized vendors that provide value-added demand gen services to partners, as well as white glove, managed marketing services. I am working closely with our Partner+ Programs team to align our marketing efforts and campaigns with the rebates and incentives on offer to ensure our partners' marketing efforts are positioning them for maximum profitability. It is my oldest and dearest friend, Faith Winter, an elected official who has successfully championed equal pay, family leave and small businesses in her district, as well as training other women how to run and lead in local government. She was also sexually harassed by a fellow legislator. She publicly came forward in the midst of an election cycle to set an example and help other women feel comfortable sharing their stories. She handled media questioning with grace and dignity, continuing to get her job done championing and passing key legislation , while helping many other women come forward. Done is better than perfect! The work ethic you're developing now will benefit you in so many ways, but there is no such thing as perfection, so stop aiming for it. Enjoy the process, learn from the speed bumps and know that life always moves forward whether you're ready or not. Systems and operations. I'm admittedly horrible at these things and I'm always impressed by my teammates who can jump into core systems and go to town! I'm actually intimidated by these types of projects, so it would not only be a great skill to have, but a good exercise in moving beyond my comfort zone. How Far Can You Go? By John Maclean. I met John five years ago when he was a speaker at an event. Paralyzed after being hit by a truck while training for triathlon, John's story of recovery, how he learned to walk again and accomplish numerous feats of athleticism is unbelievable. I had the opportunity to connect with him again in 2017 and to see his continued progress is truly inspiring and motivating. His book captures the emotion and inspiration of his story, serving as a great reminder on staying focused and overcoming obstacles, including self doubt.